Winfried Vahland: Strategy differences over U.S. market. FRANKFURT -- Volkswagen Group's designated North America chief, Winfried Vahland, will leave the automaker due to differences of opinion over VW's U.S. strategy, VW's Skoda unit said today. Vahland had led Skoda since 2010 and was due to take over the North American operations in the wake of the firm's emissions cheating scandal. 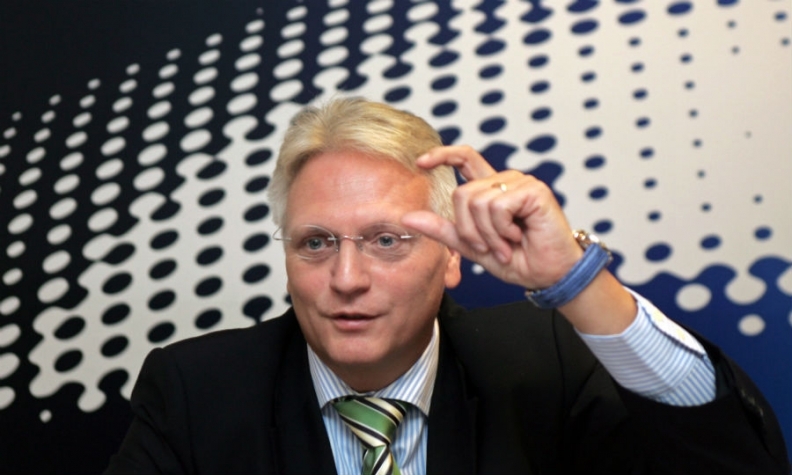 He will leave after more than 25 years at VW Group, Skoda said. Vahland's departure less than three weeks after being named to the North America post deals a blow to VW's efforts to recover from the scandal over its cheating of diesel emissions tests. "He reached this decision due to varying opinions on the design of the group's new North America region; it has no connection with the current events regarding diesel engines," Skoda said in the statement. VW had said that Vahland would lead a newly created North America region starting in November with Michael Horn, VW Group of America CEO, reporting to him. VW appointed Vahland to join the management of its core VW brand on Nov. 1 as head of its operations in the United States, Mexico and Canada as part of a broader reshuffle that led to Porsche boss Matthias Mueller taking the helm of the group after former CEO Martin Winterkorn resigned. German weekly Auto Bild earlier reported Vahland's pending departure, noting he was passed over for the top job at Volkswagen after Winterkorn resigned on Sept. 23. "Vahland was a good manager," said London-based Evercore ISI analyst Arndt Ellinghorst. "VW is facing massive challenges and a completely new start." While facing dozens of public and private lawsuits, government investigations, compensation and recall expenses, VW needs to rebuild trust with U.S. customers as it tackles a chronic underperformance in the world's second-largest auto market, analysts have said. Before becoming Skoda CEO, Vahland, 58, won recognition inside VW for reviving the automaker's business in China. He launched his auto career at General Motors in the 1980s, holding posts in both manufacturing and finance before joining Audi in 1990. What other dormant brands could be revived?